The last Q School event finished! The last four men came out to grab tour places are Norway's Kurt Maflin, David Gilbert and two tour debutants Adam Duffy & Stuart Carrington. Q School Event One Result - Welcome back boys! Life is never easy for a player lives outside the UK. Maflin is considering about moving to the UK full time. "Living in Norway makes it a hell of a lot harder for me. I don't have anyone to practise with there, so I come over to the UK four or five days before each tournament. I've got a girlfriend there, we've been together ten years and we have a little boy. I am thinking about coming over to the UK full time as it would help my snooker, but it's something I need to discuss with the family when I get back to Norway." Third Time lucky for David Gilbert! Gilbert was gutted to be defeated twice in the last round of the two previous Q School events. 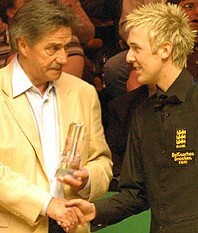 However, Gilbert did it in the third time, regain a tour place by beating Allan Taylor 'The Assassin' 4-1. Gilbert fell off the tour at the end of this season. 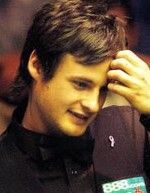 He once reached last 16 of Welsh Open 2009, beating Mark Williams & Joe Perry before he lost to Mark Selby. "In the last couple of years I've had a terrible attitude and taken snooker for granted. I hardly practised and I didn't enter the EPTC events so I put myself in the position of dropping off the tour. I realise now how much I love snooker and I want to give it a proper go. I'm going to enter all of the events, and the way the rankings work now, you can see yourself making progress within the season." to Adam Duffy in the Crucible, 2009. 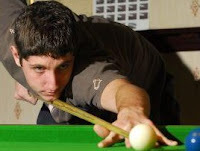 "It's not sunk in yet that I'm on the main tour," said Duffy, who won the Paul Hunter Scholarship in 2009 to train free for a year at the Academy. "After that year I had a bit of a lapse, but recently I've been working hard and it has paid off." Duffy added. 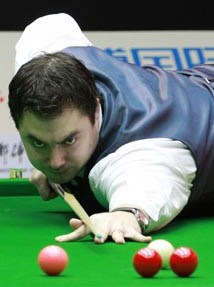 "I only live close by so it will be great playing in the World Championship qualifiers next season because a lot of friends will come down to support me. My target is to get into the top 64." push on up the rankings." Earn a tour place via PTCs!